10pcs/Set Micro JST 2.0 PH 6Pin Male & Female Connector Plug with 300mm Cables by Isguin at Joes V Cycle. MPN: 2018ISGUINSPORTBK628. Hurry! Limited time offer. Offer valid only while supplies last. Specifications: 2.0 6-Pin Male Connector plug with Wire *10pcs 2.0 6-Pin Female Connector plug *10pcs Material:Wire Color:As the pictures shown. 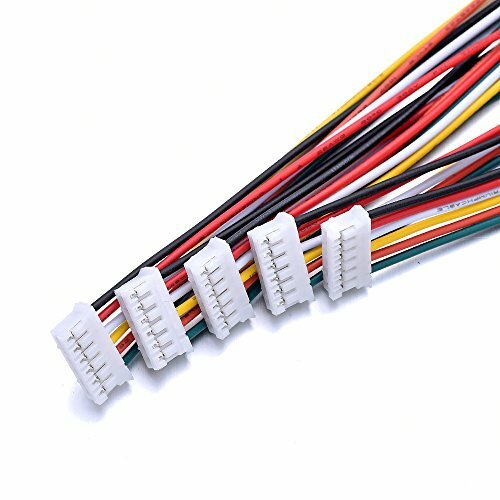 10pcs Micro JST 2.0 PH 6-Pin Connector plug with Wires Cables 300MM.